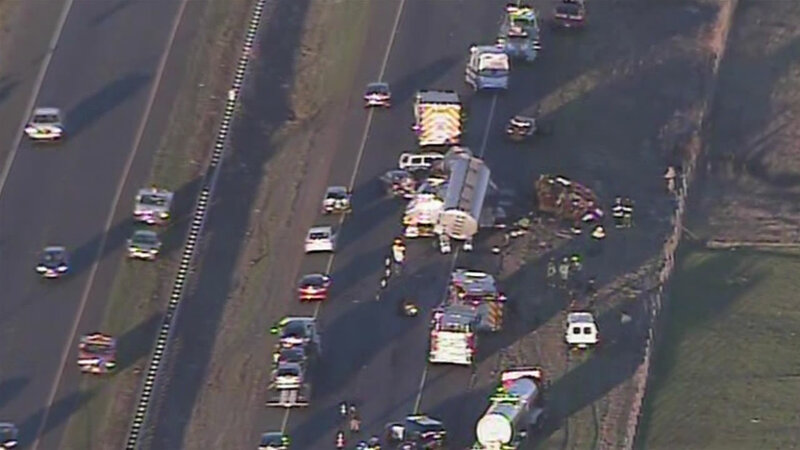 SONOMA COUNTY, Calif. -- One person has died in a collision involving two big-rigs and at least five other vehicles on eastbound state Highway 37 this afternoon, a California Highway Patrol officer said. The crash occurred at 3:38 p.m. near Lakeville Highway, and is blocking both eastbound lanes of Highway 37. There is no estimate for when the lanes will reopen, and CHP Officer Andrew Barclay said it will be several hours at least. One of the two big-rigs has double trailers, Barclay said. Ambulances and a CHP helicopter have been requested. Update- The collision on SR-37 East of Lakeville Hwy. is a fatality. There is no estimated time to open the roadway.